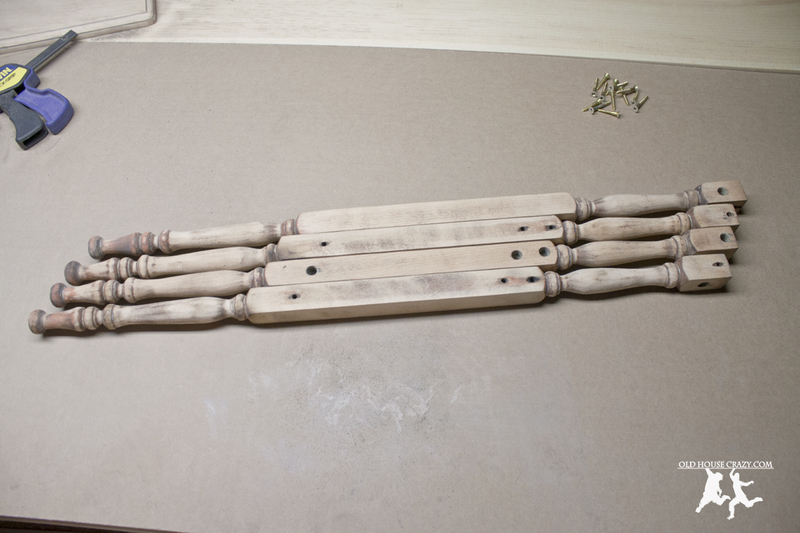 As I mentioned in the last post, the spindles of this table, its legs for those of you at home, were quite tricky to sand. 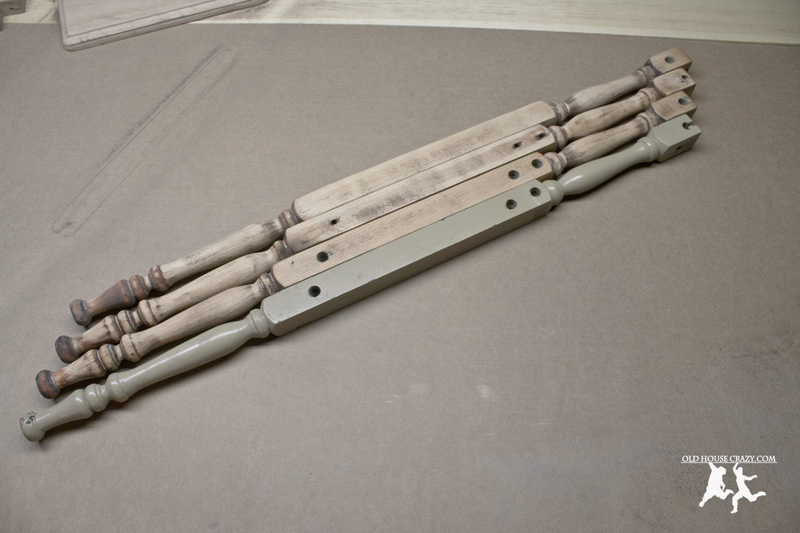 My trusty Dewalt palm sander did a phenomenal job removing the old paint and previous stain from the flat pieces of this table, but it was pretty useless on the round spindles. 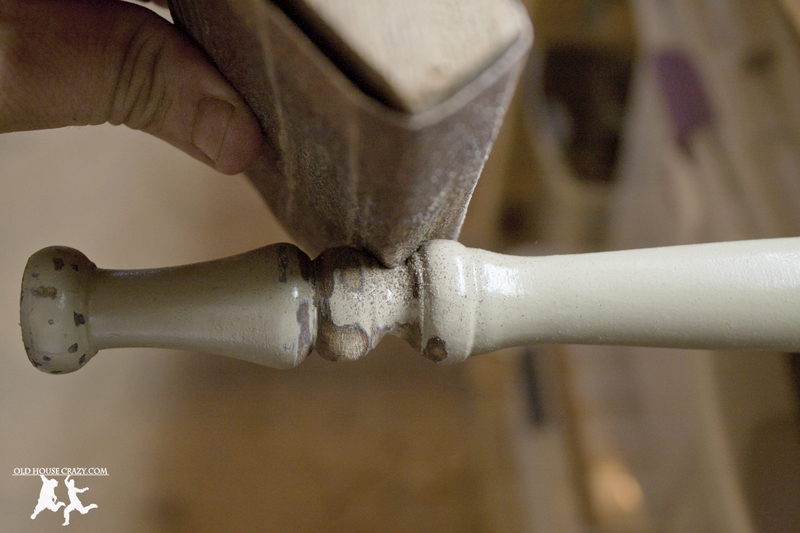 For those I had to rely on old fashioned elbow grease and a simple sanding trick. 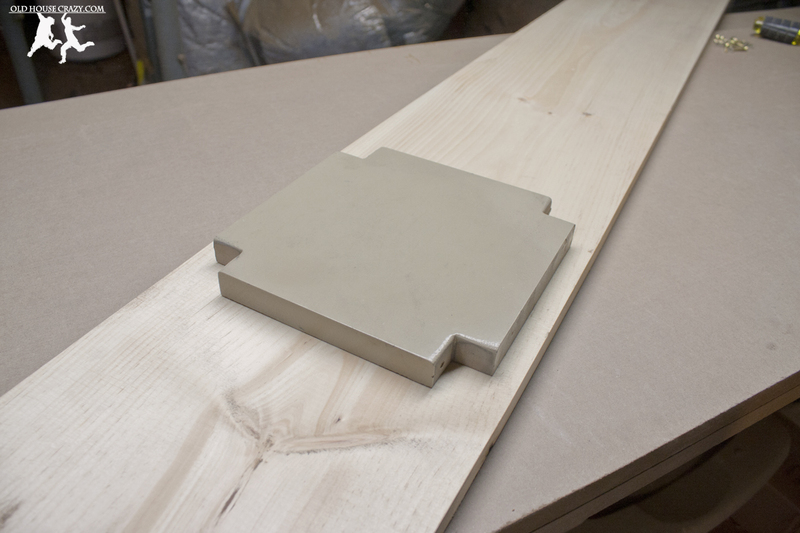 Sanding in the creases and hard to reach places of spindles or other tricky bits can be accomplished by simply folding a square of sand paper around a scrap piece of wood. 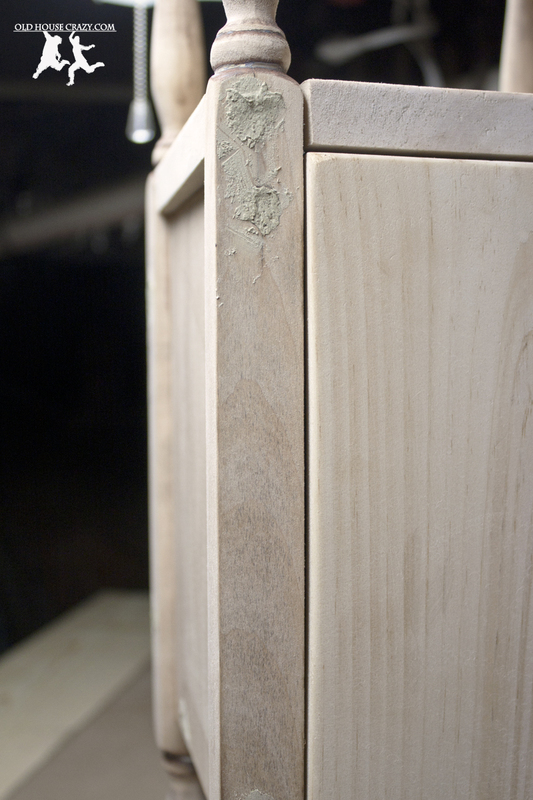 If you are so inclined, you can cut a piece to fit the crevices you are sanding for an even cleaner job. I might get some flack for posting about something so simple, but I didn’t know you could do this until somebody told me. 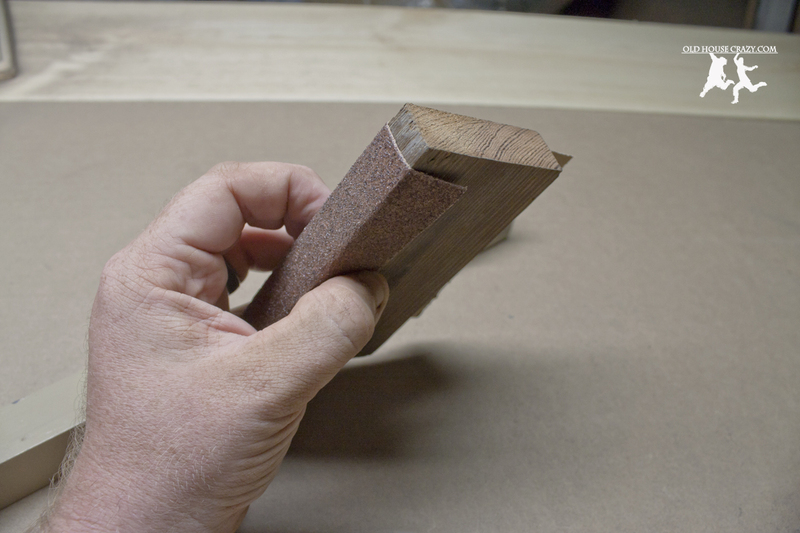 Once you’ve got your square of sandpaper wrapped around a block of wood, make sure to clamp the work piece to your bench so it doesn’t wiggle around while you’re sanding. If you go to any hardware store, they’ll sell you special sanding blocks that will accomplish this same goal. 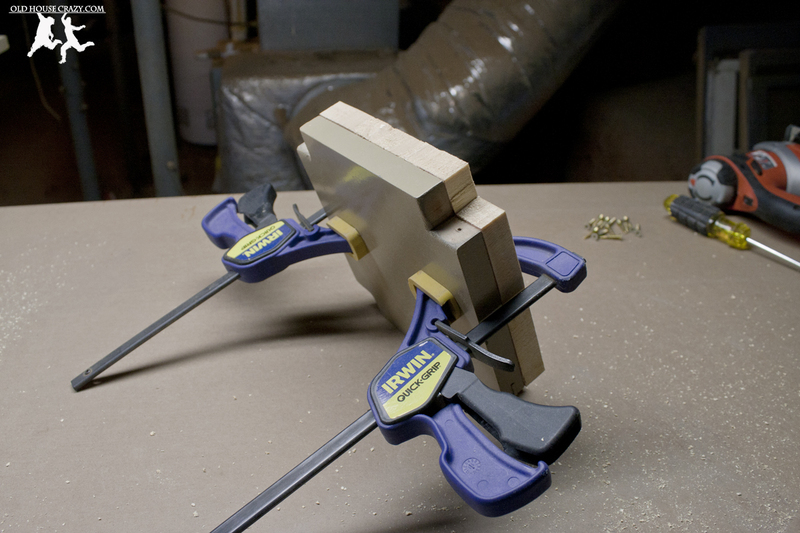 If you’ve got a scrap of wood in your shop, those store bought deals are a waste of money. Don’t buy them. Above you can see the finished spindles. I’m not sure what wood the table is made from, but it’s pretty soft. My guess is that it’s pine. My coworker who owns the table got it from her grandmother and guessed that it might be 100 years old. I put its age at a good deal less than that based on one fact. 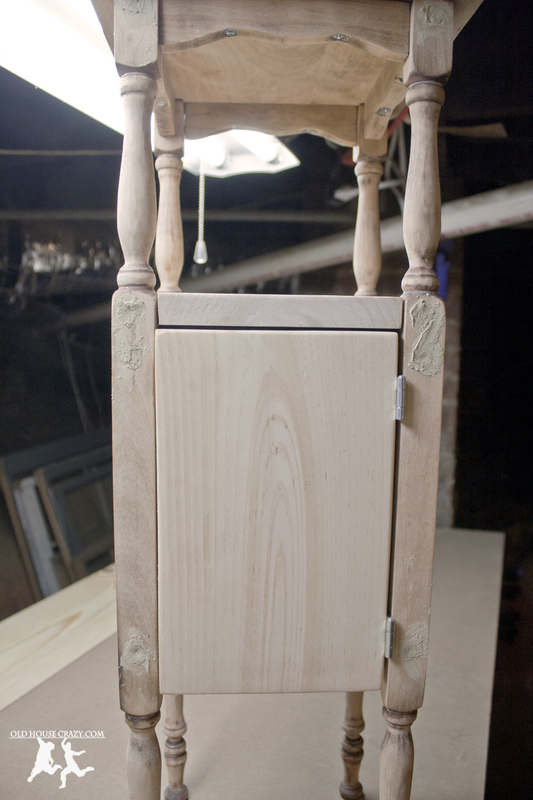 In the photo above, you can see the top panel of the cabinet part of the table. 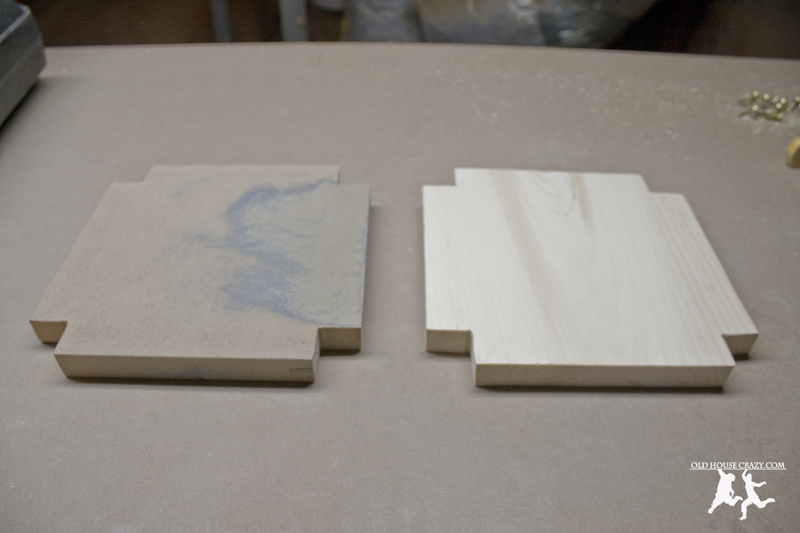 When I started sanding this panel I realized it was made from MDF (medium density fiberboard). It’s what my new benchtop is made from (thanks for noticing) and is a phenomenal material. However, it was invented in the 60’s, so this table is either younger than we thought or its top panel was replaced using this MDF panel at some point. Either are plausible. Since I want to stain the table, MDF is not a suitable material. I bought a piece of white pine from which I cut a new panel and a door for the cabinet. The wood grain matched the rest of the table pretty well so I’m pleased with the results. You can see from the photos above that I traced the outline of the original into a section of the purchased board that had a pleasing grain and cut it out using the jigsaw. Once the new panel was cut, I clamped it to the old panel and sanded the edges until they were a perfect match, as you can see below. I cut a door from the same white pine board and attached it using two simple hinges. I rounded over the edges of the door using my sander. 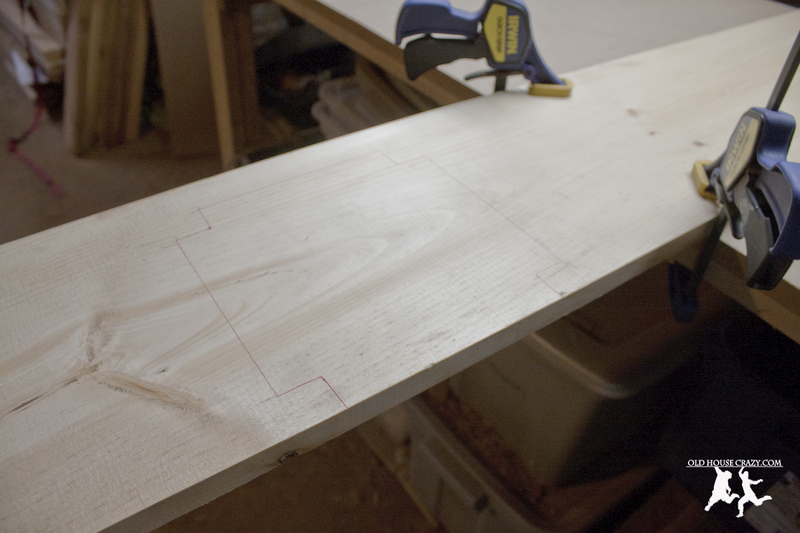 I could’ve done a fancier edge using the router, but decided against it because of the simple nature of this table. The door even opens. Hooray. 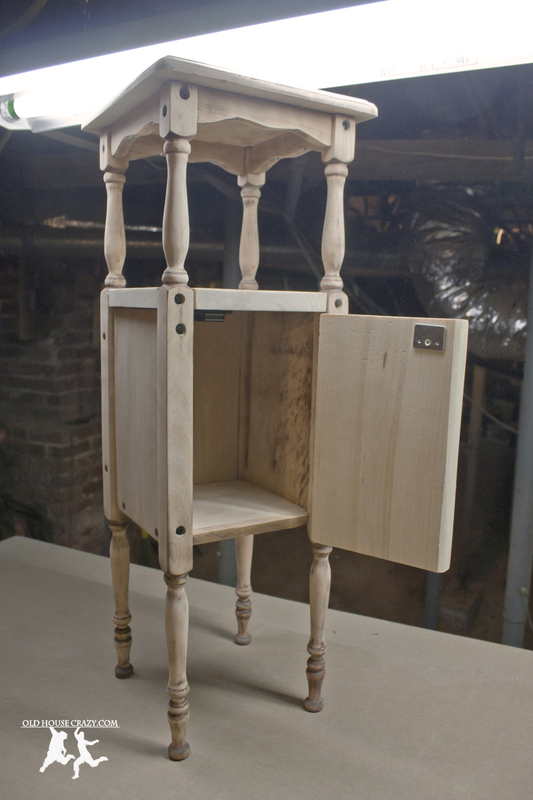 This entry was posted in Better than store bought, DIY, Don't Hire a Professional, Furniture, Restoration, Tools and Techniques, Woodworking and tagged DIY, diy project, don't hire a professional, Furniture, tools and techniques, woodworking technique, woodworking techniques. Bookmark the permalink. Hand sanding is tedious work, but the effort was worthwhile. 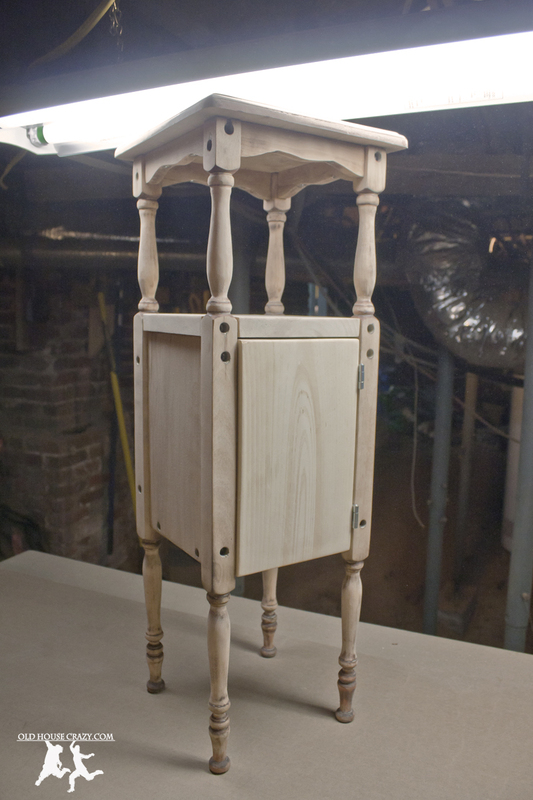 You’ll have a much nicer table once you are done. I’m glad you are hiding the screws, which also takes it up a notch. Wow, beautiful work. 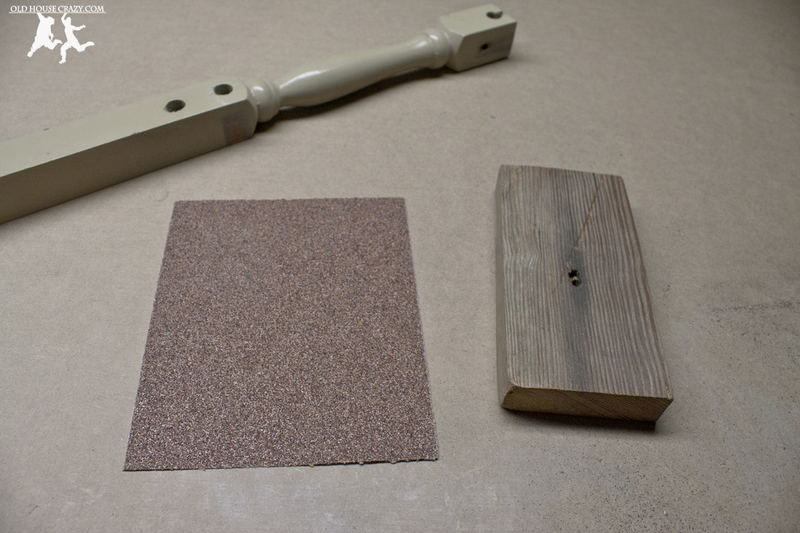 And yes, hand sanding is pretty challenging, but afterwards it is much more rewarding.